An Interview With Southern California-Based Beachy Alternative Band, HAWAI! Underneath beachy gusts of guitars and keys, shimmering soul and iridescent hooks is Southern California’s Hawai. 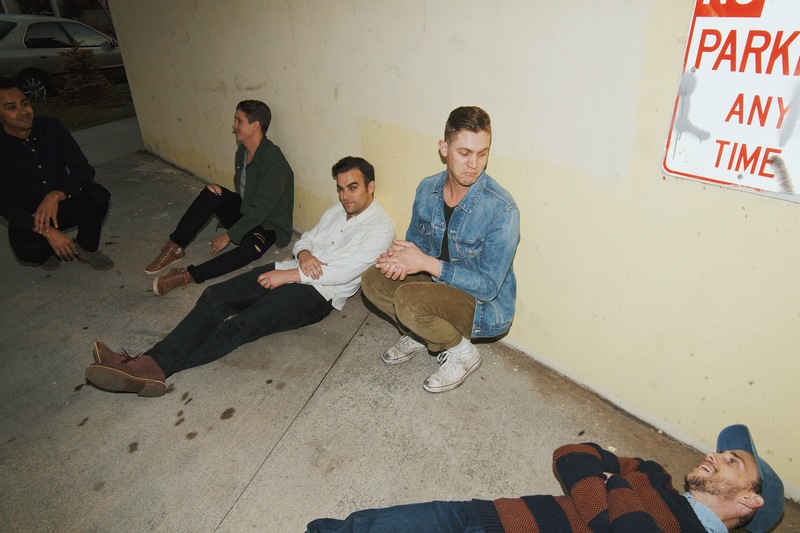 The band quickly garnered national attention when their first single “In My Head” reached #4 on the Hype Machine charts, and has since received early radio support from the likes of KROQ, KCRW, Alt 98.7 and more. Hawai released their debut EP Working All Night, produced by Lars Stalfors (Cold War Kids, Deap Vally), on June 17 via Antler Records. Beginning on May 18th, the band started playing a handful of dates across Southern California, including a newly announced EP release show at Dirty Laundry in Los Angeles on June 16th. Thanks for your time! How’s 2016 been treating you all? What were some of the highlights of 2015 for the band and your music? So far so good! Lots of exciting stuff has already happened this year, which is crazy that we’re halfway through the year already. But ya we’ve had some really fun shows this year and have a ton to look forward to. 2015 was a really great year for us. We signed to Antler Records, went on a successful run up the west coast supporting Zella Day, did a bunch of one-offs in LA, Orange County, and San Diego…all big highlights for us. HAWAI is a culmination of everything we wanted the band name to represent. We had our list of possible names, but really wanted the name to be one word, we wanted it to evoke a positive and memorable emotion, and also wanted it to be representative of our sound. Oh and of course a name that wasn’t already taken. That was the hardest hurdle. EVERYTHING is taken. HAWAI seemed to be the most fit for what we were looking for. Other names we considered…hmmmm…SPORTS, PORTS, SHORTS. We actually never considered SHORTS, but we should have. You’re welcome new band that needs a name. Let’s be honest, we don’t always work so well together. But we try our best with being on the same page, always! We’ve noticed in the past when even one person resists the direction we are going in, it’s like driving a car with three wheels instead of four. Your momentum comes to a screeching halt when you can’t agree on things. So over time, we’ve learned it’s always best to find that line where you can have your opinion but still agree with someone else’s. And not to mention, we are genuinely friends and brothers. So that plays a huge role in how we work together. I would say we are California Indie Rock…Sunshine and Synths! 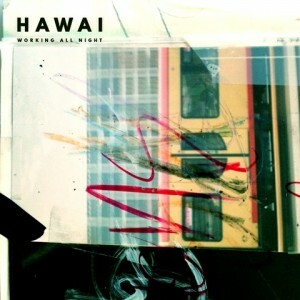 Next week, you will release your debut EP, “Working All Night” via Antler Records. What does that feel like? How long have you been working on it? It feels really good actually! Putting out music is always scary too. So there’s mixed emotions of excitement and terror…but more excitement then anything. We just are stoked to let people hear it. I started writing a whole bunch towards the end of 2014, and the four songs that appear on the EP are from a collection of tunes I wrote right before I had my son Van in August of 2014. From there we began recording in late 2015, and now we are finally at the moment we’ve all been anticipating. So ya, EXCITING stuff! It’s constantly changing for sure. I can’t help but always observe things. My wife hates when I drive cuz I can never keep my eyes on the road. I’m always looking at the bird that just flew over our car, or the trees on the side of the road, or the guy in the car next to us that has a funny haircut. But ya I’m always looking at things with a sense of awe. I think everything is worth writing about. I mostly take it day-by-day and let whatever inspires me then to be the subject of our next song. What was it like working with Matt Maust from Cold War Kids? Matt’s awesome! He’s super original, creative, and cranks out art in no time. It’s mind blowing to us how much he created during the making of our “Fault” music video. It was 10 hours of non-stop art making. He said he’s never sweat more in his life. How’s your summer tour been going? Any favorite venues or crowds yet? Do you hope to venture outside CA soon with the tour? We’ve kept it local for the most part, but have had some great shows so far this year. We have big plans for the rest of the year with tours all over the US. So keep an eye out, we’ll be in your city soon! Some of our faves: Radiohead, Wilco, Bob Dylan, Arcade Fire, Sufjan Stevens, The War on Drugs, to name a few. Bob Dylan’s poetry always gets me. Rufus Wainwright’s voice too! I hope that people hear authenticity in our music. The structure of the lyrics and mood of each song was in some ways direct and obvious…but I also like leaving room for everyone to have their own interpretation of what each song means. An Interview With Active Duty Service Members Turned Musical Act, DASH|TEN!